Let me start by just recognizing that what I'm attempting to do is insanely and maybe laughably ambitious, but it has been fun so far so I'm going to keep going until it becomes impossible. 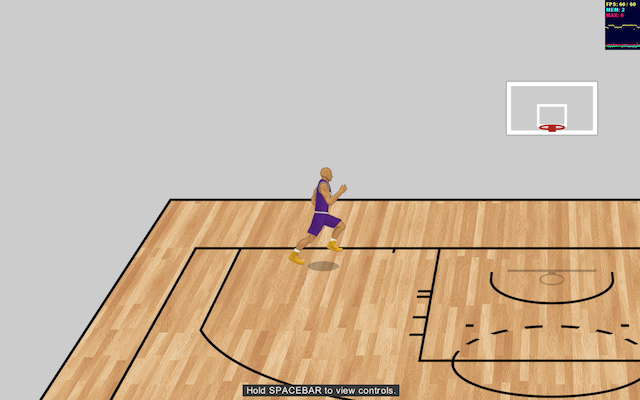 I'm creating a 2D PC/Mac basketball game from scratch using a platform called Stencyl. The 4 key elements that I'm most focused on, and that make up any good sports game IMO, are visuals, gameplay, depth and customization. The best way I can describe the feel I'm going for is a next-gen version of classic 90's SNES/Genesis games. The graphics are all in PNG format, so I can achieve pretty decent quality but since everything is sprite-based, the animations will have a retro feel. 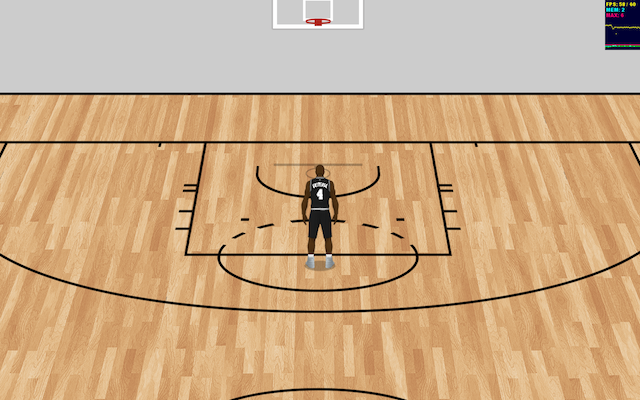 There are 3 classic camera angles: Horizontal (think Techmo or NBA Showtime '94), Vertical (like Jordan vs. Bird) and Diagonal (i.e. 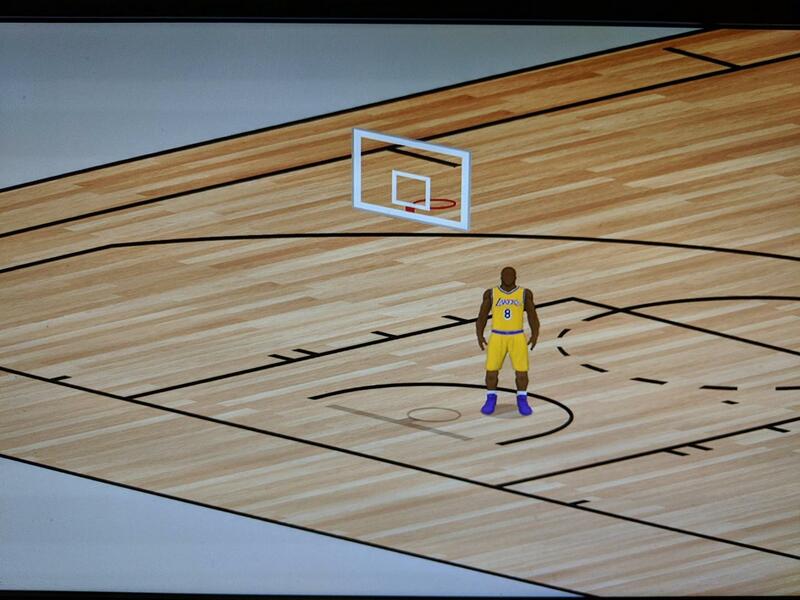 NBA Live 95). 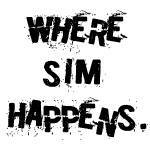 I'm not trying to make a pure sim game. That experience is already available and pretty well done by the industry powerhouses. My goal is to get sim stats but at a faster pace for those of us that only want or have time to play for 30 mins at a time. 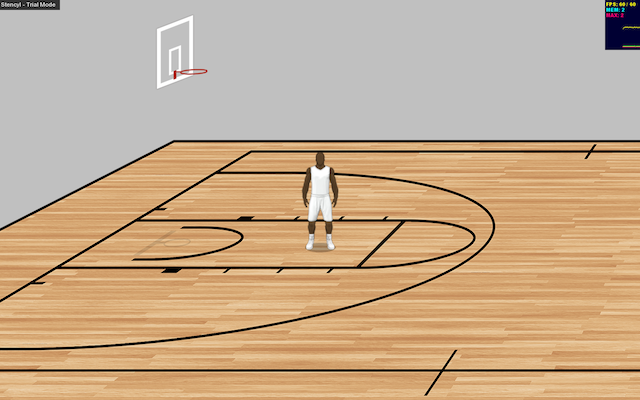 I want to create a "world building" experience in a basketball game. Players can create any number of leagues within one game - pro, college, high school or other amateur, international, pick up, etc. This will be done mostly through out-of-game editing/modding (see below), however I also hope to build robust in-game mechanisms for player and coach movement to capture the fun of draft day and trade deadline chaos, recruiting, free agency and the coaching carousel. This game is being specifically designed to encourage external modification. There will be limited in-game customization but huge amounts of external modding capabilities using common applications. Graphics: Stencyl uses PNG files for all graphics, which is great for customization/modding because the files can be edited directly with whatever image editing software you like. 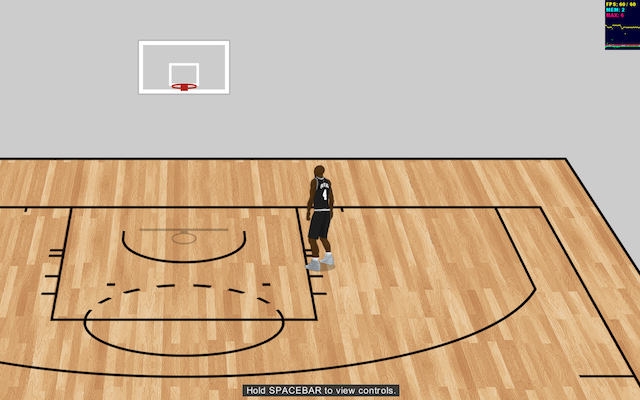 Faces, jereseys, courts, logos, menus and broadcast overlays will all be very easy to customize. Shorts are going to be a little more difficult for very boring reasons that I won't get into but I'm working on it. Beyond just the superficial changes, animation modding will be possible as well. Databases: League, team, roster and player data including ratings will all be stored in TXT files in CSV format. The ratings are stat-based (at least the ones that you can gleen from stats). I'll eventually release the formulas I'm using so that a roster can be created nearly automatically. The trick is going to be a developing universal system that spans pro/college/amatuer leagues. Sounds: Music and stadium sounds should be easy to change around. I am hoping to be able to develop a color commentary system also. True play-by-play isn't going to be possible but I'm imagining sound bites based on the in-game action (i.e. 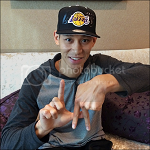 dunks, 3-pointers, dimes, steals, blocks etc.) which can then be customized with different broadcasters it broadcast teams. This is a hobby project that I'm working on between a full-time job and being a dad. I have no timeline. I was initially thinking I'd make it "pre-modded" with real players and teams and just make it free but I've waivered back and forth on that a lot. Since customization seems like it may easier than I initially thought, I'm going to keep things generic to avoid licensing issues reserve the right to charge $5-10 on steam if a full-fledged game ever comes out of this. In the meantime all testing releases will be free on NLSC. - This release is meant for the purpose of testing out the customization options. See customization guide in README file. - There are minimal in-game features. 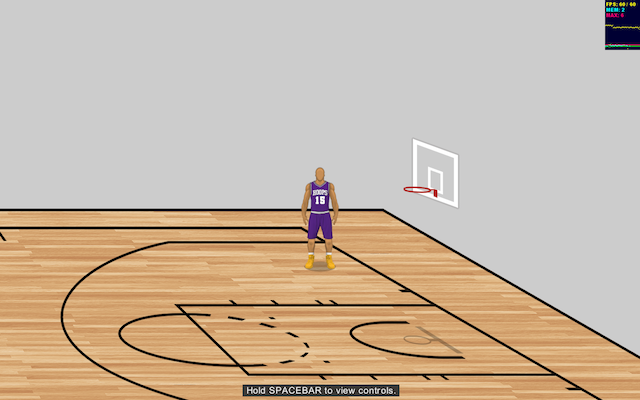 You can select a player and run around a court. That's it. - For the next release(s) Iíll be working on adding MANY more animations and working on the text sim elements such as game simulation & recruitment/free agency. Last edited by Dr B on Wed Dec 12, 2018 12:40 pm, edited 1 time in total. So you're thinking like a Double Dribble style game with generic teams? It'd certainly be interesting to see an idea like that come to fruition. Retro-style gaming has certainly become popular; whether or not that translates to a basketball game remains to be seen, but it could be a really cool project. [Q] wrote: So you're thinking like a Double Dribble style game with generic teams? I'd use real teams and players but just for free download/use here at NLSC. I wouldn't purchase licenses, sell the game or ads. Similar idea to modding, but just starting from scratch to provide a new engine for everyone to mod. 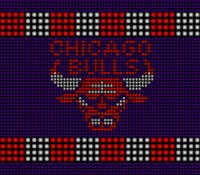 My real vision with this is to make more of a "basketball universe" than any one league. Within the same game you would have pro, college, international, whatever you want. As far as graphics go, the program uses PNG files for sprites so the graphics can actually be pretty decent. They're just 2D. 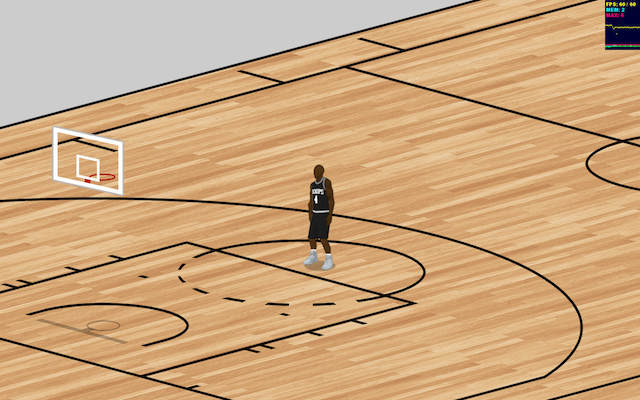 When I look at NBA Live 96 emulation screens in photoshop each original "pixel" is 49 pixels (7x7) so it would be about 7x the resolution of NBA Live '96. Hi, I was wondering if you're still working on it or no, I had the same idea of join someone to create a basketball game (management or playable). I am still very slowly but surely working on this idea. It's still going to be quite a while before I have something shareable but I found an art/animation style that I'm happy with and I'm working on creating animations. Below is a very early sample. Player faces, jerseys and courts will all be customizable PNG graphics. I plan to post testing releases as early as I can with things as basic as just running around to get input and let the community help design the game. Dr B wrote: I am still very slowly but surely working on this idea. It's still going to be quite a while before I have something shareable but I found an art/animation style that I'm happy with and I'm working on creating animations. Below is a very early sample. Player faces, jerseys and courts will all be customizable PNG graphics. I plan to post testing releases as early as I can with things as basic as just running around to get input and let the community help design the game. Looking forward to seeing more progress! That's cool, I'll have to check it out. There's definitely a market for retro-themed basketball games, as Basketball Classics has demonstrated. Following. Keep up the good work. This looks very interesting! Los Angeles Schooners starting center Frank Ford! Bandicam is what I use for screenshots when I am not able to use the built-in ShadowPlay on my GTX 1050 Ti. Lightshot is also good if you want cropped out screenshots of anything on your desktop. I picked up Bandicam a couple of years ago as well. I'd definitely vouch for it. Thanks guys. I like the customization work! I've been testing out the face customization and I'm happy with how things are working so far. I'll avoid posting my own customized images because that can probably be viewed as using likenesses and trademarked logos for advertising purposes. For now I'm just working on animations whenever I can. Hopefully in the next release you'll be able to dribble, try out a few different crossovers, a jumper, a step back and maybe even a dunk. I'm using a mac for this so I use the screenshot hotkey that is similar to print screen. 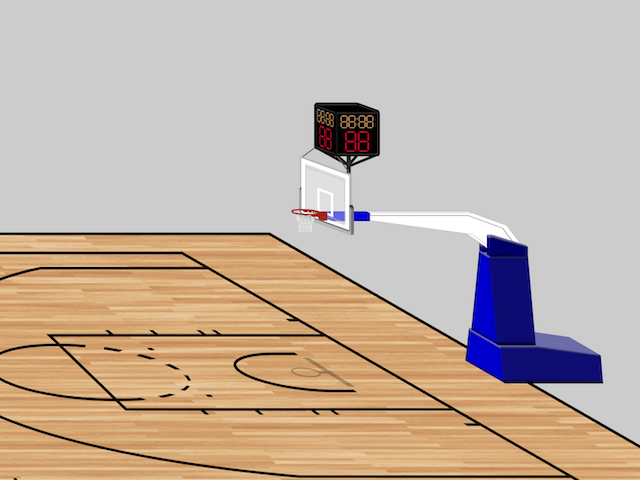 Here's a screen of the new hoop in the horizontal view... although I just realized the shot clock is an old style. The art in your game reminds me of Sega Genesis Double Dribble (Not a bad thing!). I like the art work in that game, and got a lot of enjoyment out of it. Dee4Three & MadbaLL - I appreciate the support. As much fun as it is to build this game, fame animation can be tedious. It's motivating to hear that people like the work. Dee4Three - I used to LOVE Konami's arcade-style games. Run and Gun and any of the wrestling games were my go-to any time I was in an arcade. I will definitely take that as a compliment. If I can achieve a mix of that and the early/mid-90s EA sports feel I'd be really excited. I sent you a message before but I’d like to help any way I could with this. I’ve always wanted to make a game like this myself but not really the best designer. But if you gave me info on how you do your stats, jersey colors, etc, I’d love to help. Truthfully my ideas go beyond basketball too in sports. I have a list of leagues that would be perfect, via international leagues and teams. I even wanted to do rom hacks but not really intelligent enough in the process to do it. dunkle93 - Thanks for the offer. You are exactly the kind of fan that I'm developing this game for. I'm the same way, I want to customize and build leagues. I tried hacking roms a few years ago with moderate success but it wasn't quite what I wanted so I figured I'd try to make my own game as crazy as that may be. For now, what you can do (and what would be most helpful for me) is test the limits of my customization functions. 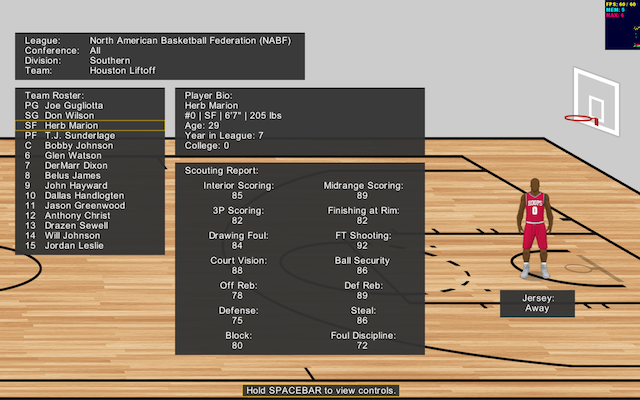 The readme file within included with the game includes instructions on how to customize leagues, rosters and art. You can use any spreadsheet software as long as the database files end up in .txt files and any image editing software to edit the .png files. Add as many leagues as you can think of and let me know if you run into issues or bugs. As for the ratings, they're not actually currently linked to any gameplay so I'm not sure that they're the formulas I'll end up using. I'll wait to share the formulas for testing until it'll actually matter for gameplay.